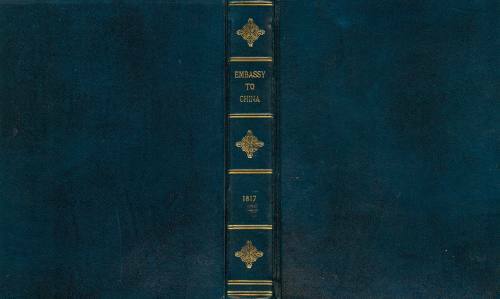 Journal of the Proceedings of the Late Embassy to China, Comprising a Correct Narrative of the Public Transactions of the Embassy, of the Voyage to and From China, and of the Journey From the Mouth of the Pei-Ho to the Return to Canton. Interspersed with Observations Upon the Face of the Country, the Policy, Moral Character, and Manners of the Chinese Nation. The Whole Illustrated by Maps and Drawings., London, Printed for John Murray by "T. Davison, Lombard-street, Whitefriars, London," 1817, 4to, black and white tissue guard protected stipple engraved frontispiece with portrait of Lord Amherst, 7 hand colored tissue guard protected aquatint plates engraved by J. Clark from drawings by Charles Abbott, 3 copper engraved maps (one being a large folding map - 42 x 53 cm), 13 appendices, iv, 526 pp. 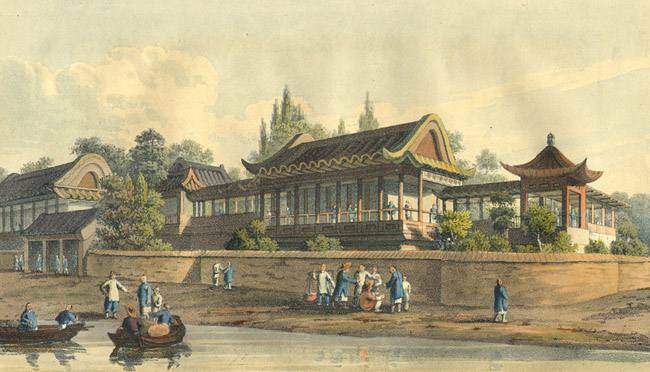 This British embassy was recommended to the King of England by the Directors of the East India Company based upon interference with their trade by the Viceroy of Canton. The East India Company actually financed the embassy and it was in the interests of that agency that the embassy was dispatched. A request directly to the Emperor of China for a redress of grievances was the key mission of the embassy. 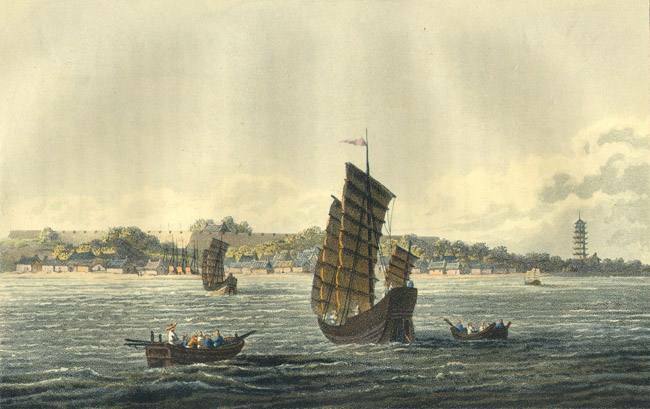 The Amherst embassy to China departed England on February 8, 1816 aboard H.M.S. Alceste commanded Captain Maxwell and H.M. Brig Lyra commanded by Captain Basil Hall. The embassy arrived in China in early August. 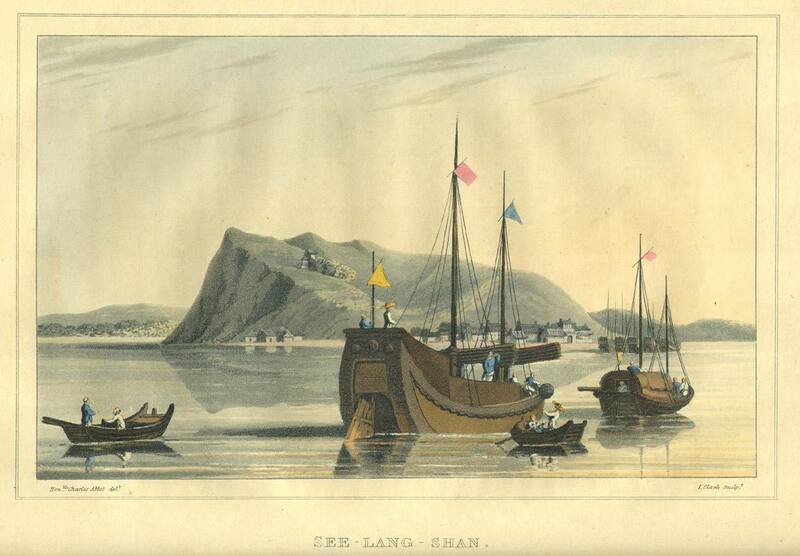 Lord Amherst traveled inland arriving at Yuen-Ming-Yuen (Pekin) on August 29, 1816 for an audience with the Emperor. To his consternation, the Emperor demanded to see him immediately on his arrival. 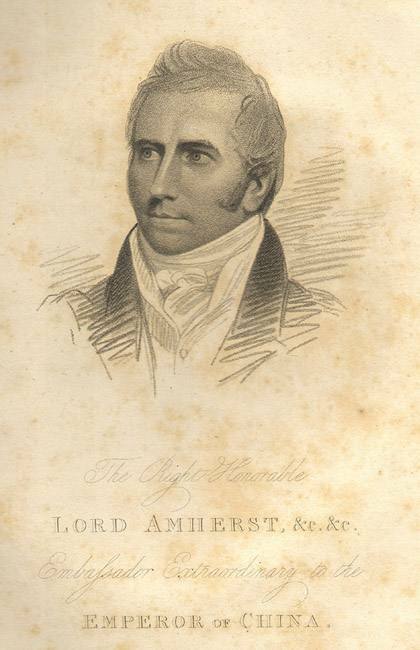 Lord Amherst declined based upon ill health and the desire to recover from the overland journey. 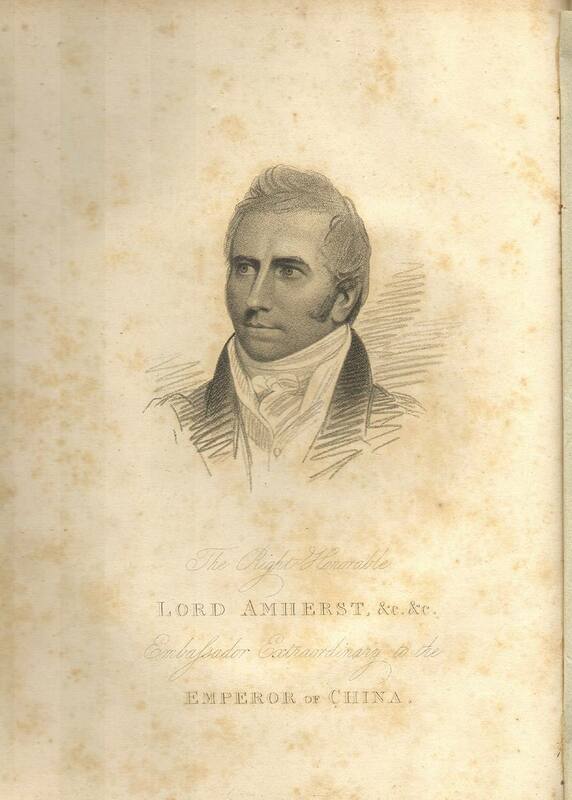 The British believed that the Emperor wanted to see Amherst privately to insist that he perform the "ko-tou" ceremony of prostration during the public reception of the embassy. The Emperor immediately ordered the embassy to depart and this was done the next day. Amherst never did see the Emperor to request the redress of grievances, the main objective of the mission. After the fact, it appears the Emperor planned on making Lord Amherst perform an elaborate series prostrations during the official reception. 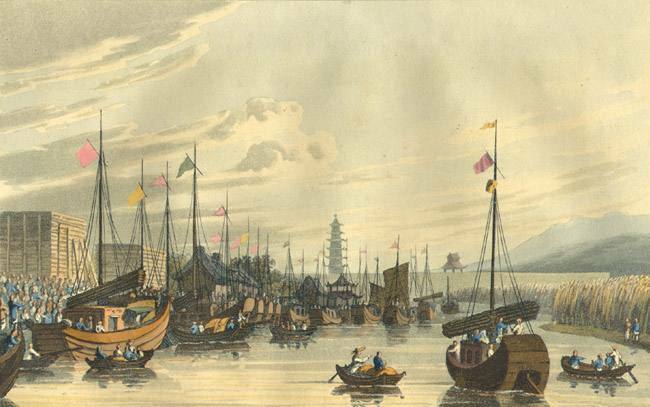 Despite being dismissed by the Emperor, Amherst traveled extensively throughout China and did not depart until January of 1817. He dispatched H.M.S. 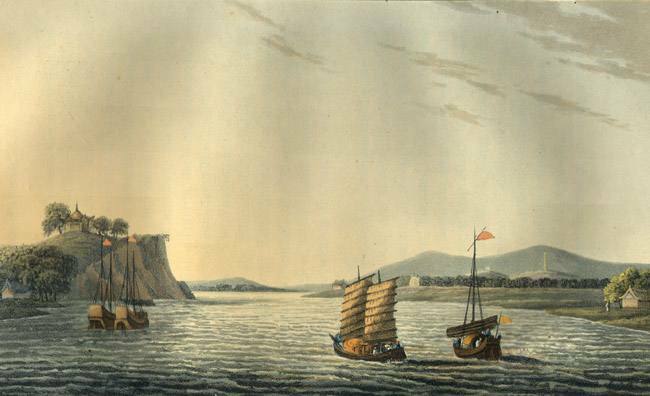 Alceste and H.M Brig Lyra on surveying expeditions commanded by Captain Maxwell to Korea and Okinawa (Loochoo) in late August of 1816. 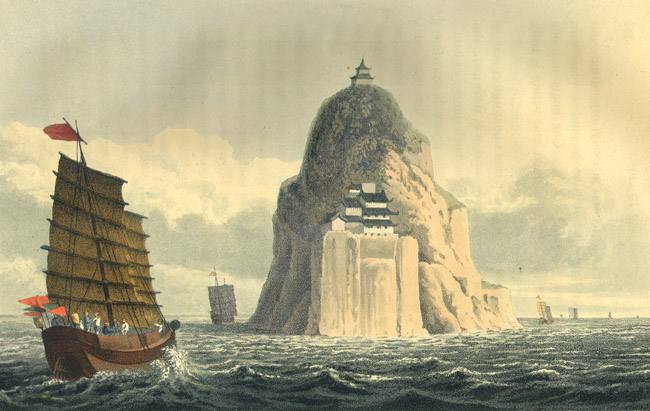 This aspect of the mission is covered rather briefly ("Remarks upon Corea and Loo-Choo Islands") in Chapter IX (pages 469-491). 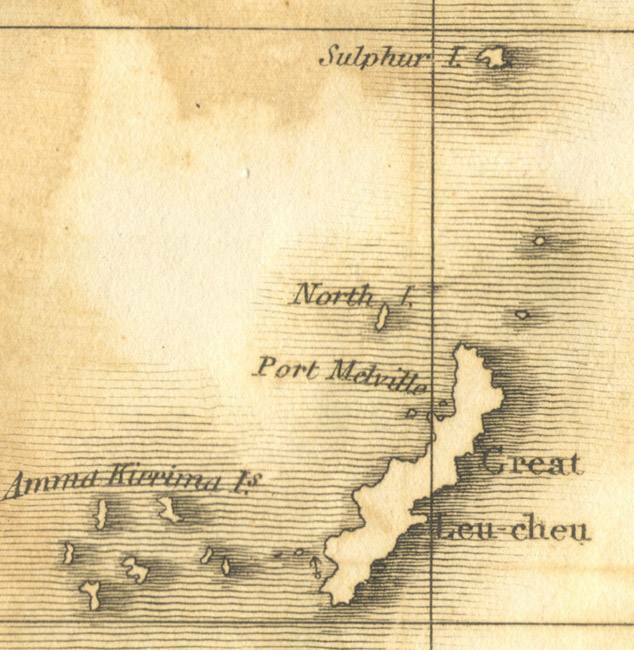 The ships spent considerable time in Okinawa (September 16 to 28 October). This aspect of the expedition was covered in great detail in important books written by John McLeod and Basil Hall and published at the same time as this book (see below). Both McLeod and Hall were members of the embassy. 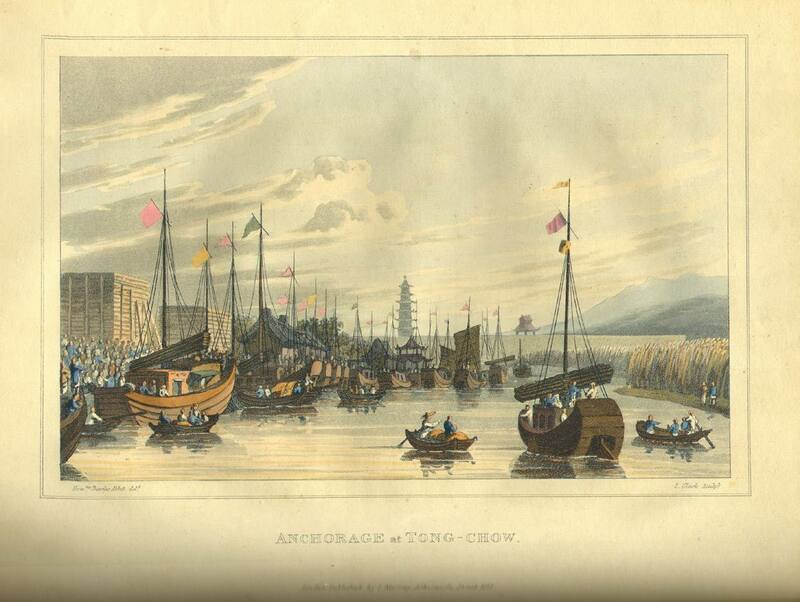 The embassy departed China on January 21, 1817. During the voyage back to England on February 18 in the Straits of Gaspar in the Java sea near the island of Pulo Leat, H.M.S. Alceste struck a submerged rock and sank. 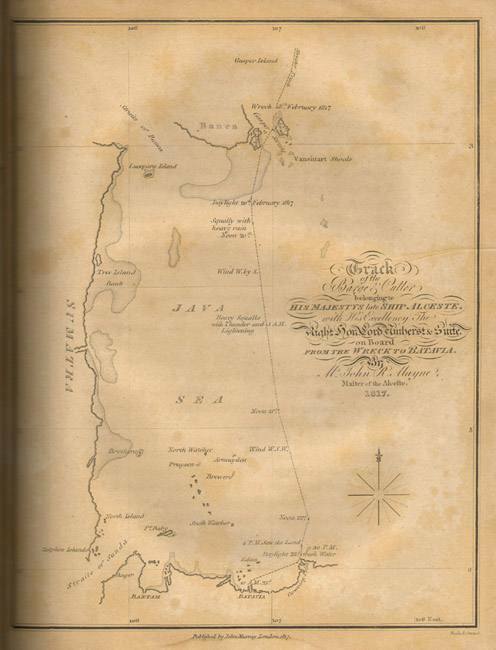 There was no loss of life and Lord Amherst was taken to Batavia aboard the H.M. Brig Lyra. 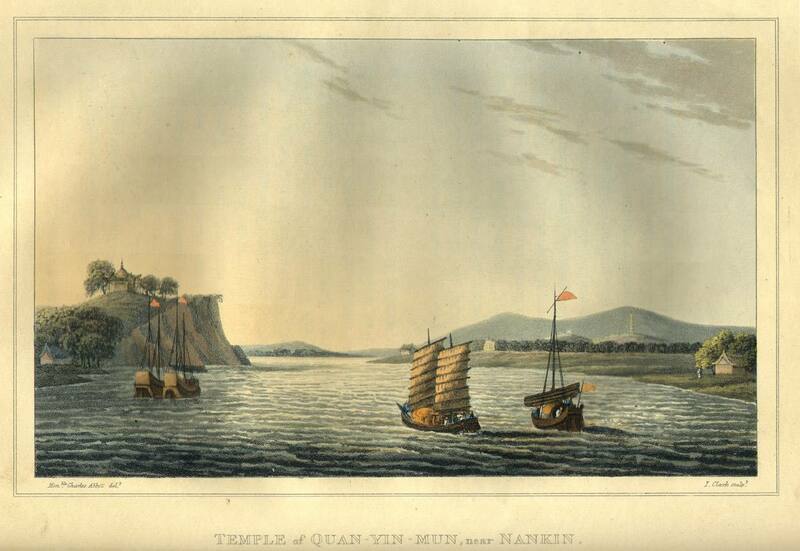 The last aquatint plate shows, in the background, H.M.S. 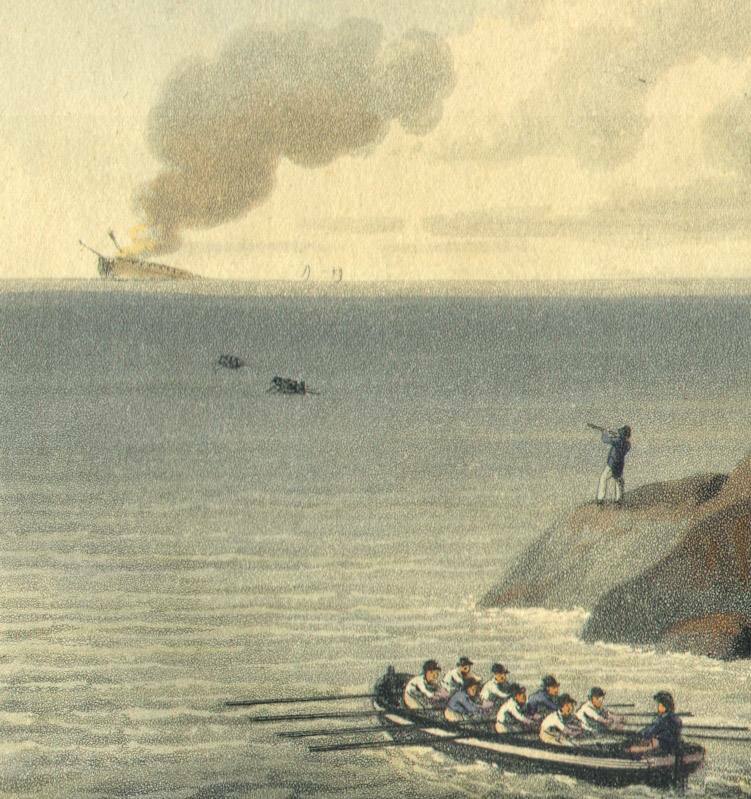 Alceste on fire and sinking. On the return voyage Lord Amherst visited with Napoleon Bonaparte who was in exile on St. Helena. 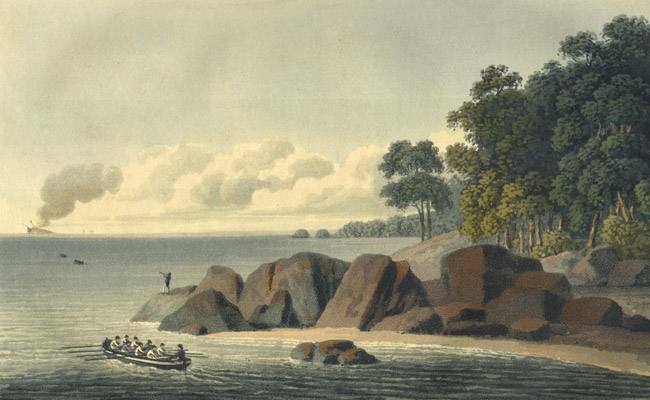 The mission was completed at Spithead on August 17, 1817. The strategic and ultimate mission of the embassy was not accomplished. 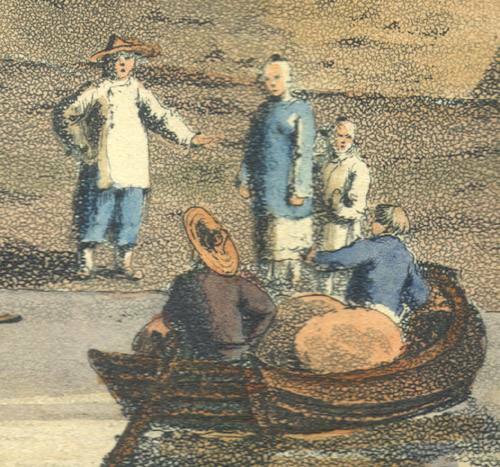 Lord Amherst was denied the personal audience with the Emperor of China to present the British grievances. On a tactical level, while the mission went rather smoothly, the embassy suffered a catastrophe in the sinking of the lead ship, H.M. Ship Alceste. 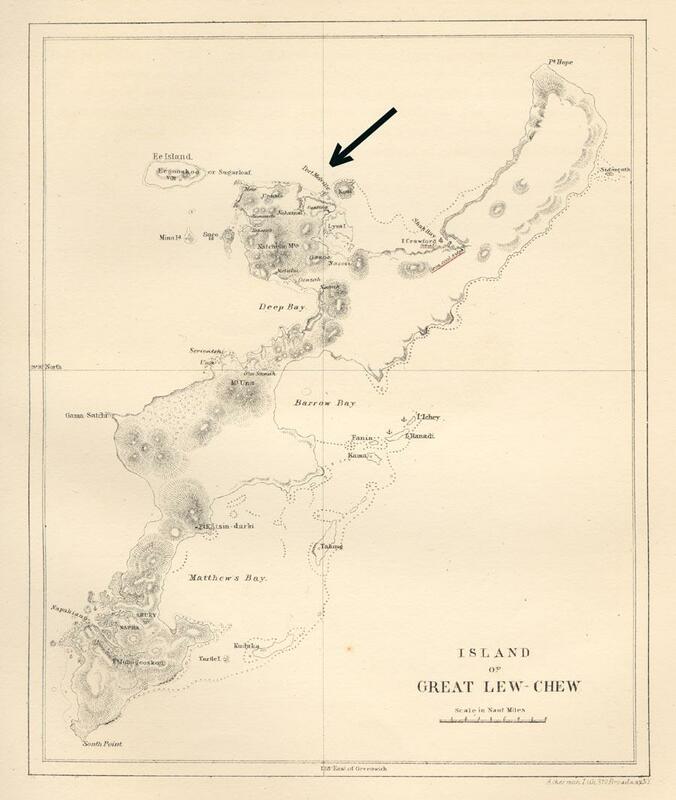 In addition, H.M. Brig Lyra was nearly shipwrecked on the coral reefs as she surveyed Okinawa. Despite the major failures, the embassy performed an important role in acquainting the general public with the conditions in China and the then relatively unknown of Kingdoms of Korea and Loo-Choo. 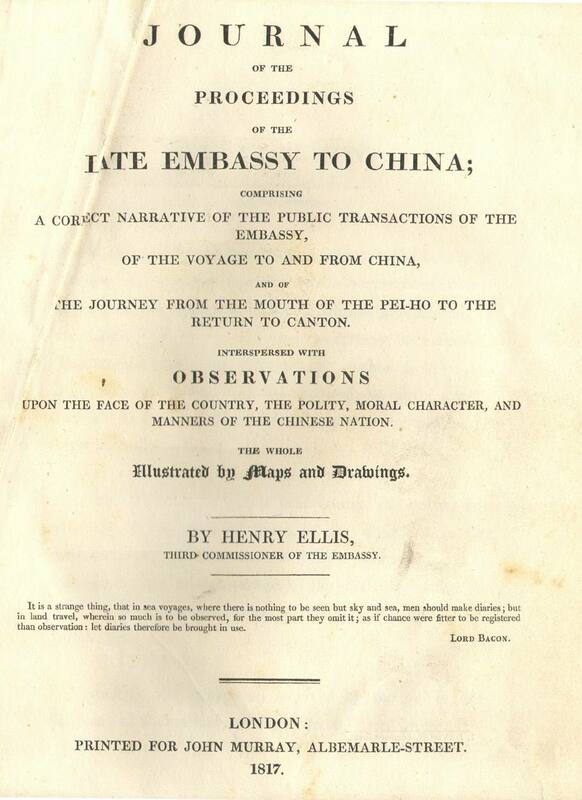 Henry Ellis, 1817, Journal of the Proceedings of the Late Embassy to China; Comprising a Correct Narrative of the Public Transactions of the Embassy, of the Voyage to and from China, and of the Journey from the Mouth of the Pei-Ho to the Return to Canton, Interspersed with Observations upon the Face of the Country, the Polity, Moral Character, and Manners of the Chinese Nation, Illustrated by Maps and Drawings, London. Information here. 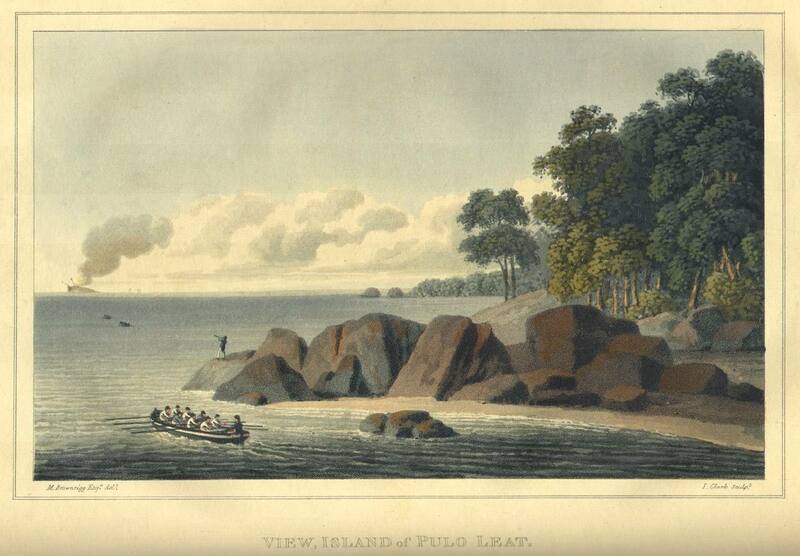 John McLeod, 1817, Narrative of a Voyage, in His Majesty's Late Ship Alceste, to the Yellow Sea, Along the Coast of Corea and Through its Numerous Hitherto Undiscovered Islands, to the Island of Lewchew; with an Account of Her Shipwreck in the Straits of Gaspar, London. Information here. 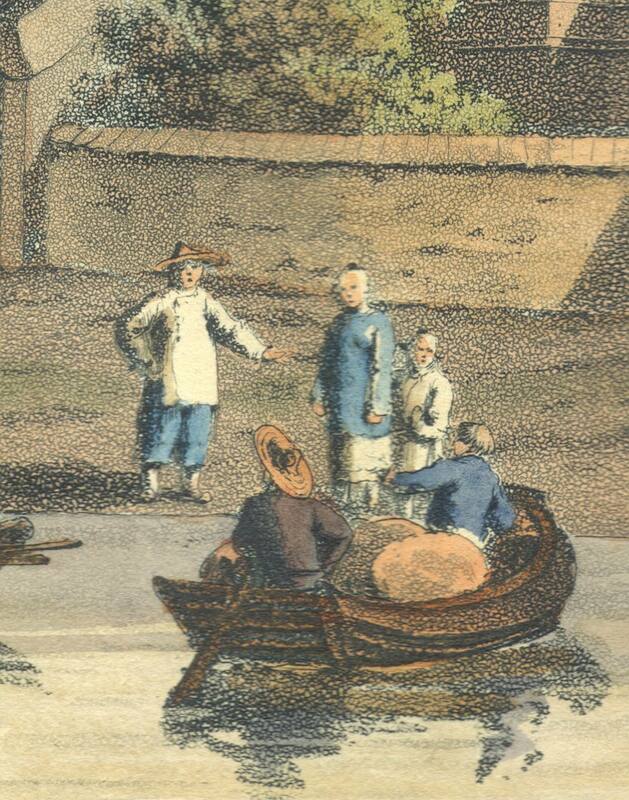 Clarke Abel, 1818, Narrative of a Journey in the Interior of China, and of a Voyage to and From That Country in the Years 1816 and 1817; containing an Account of the Most interesting Transactions of Lord Amherst's Embassy to the Court of Peking and Observations on the Countries which it Visited, London. Information here. 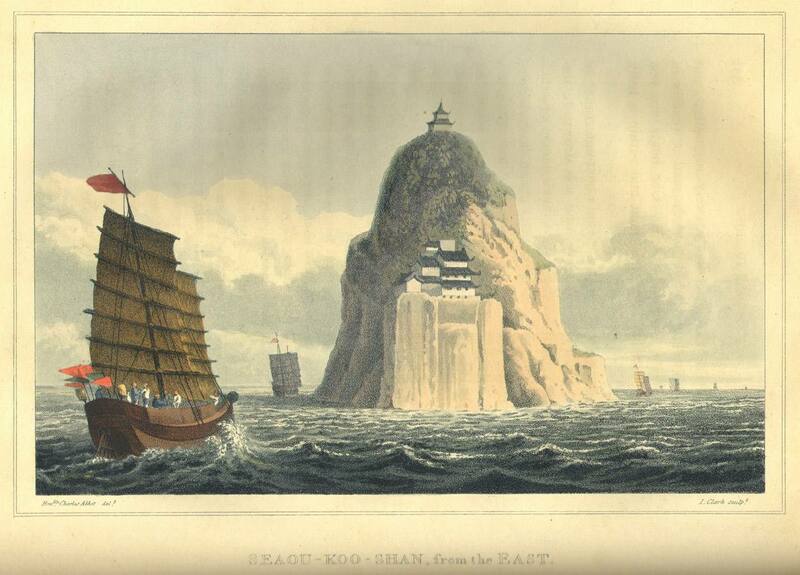 Basil Hall, 1818, Account of a Voyage of Discovery to the West Coast of Corea and the Great Loo-choo Island; with an Appendix Containing Charts, and Various Hydrographical and Scientific Notices. By Captain Basil Hall, Royal Navy, F.R.S. Lond. & Edin. Member of the Asiatic Society of Calcutta, of the Literary Society of Bombay, and of the Society of Arts and Sciences of Batavia. And a Vocabulary of the Loo-Choo Language, by H. J. Clifford, Esq., Lieutenant, Royal Navy, London. here. 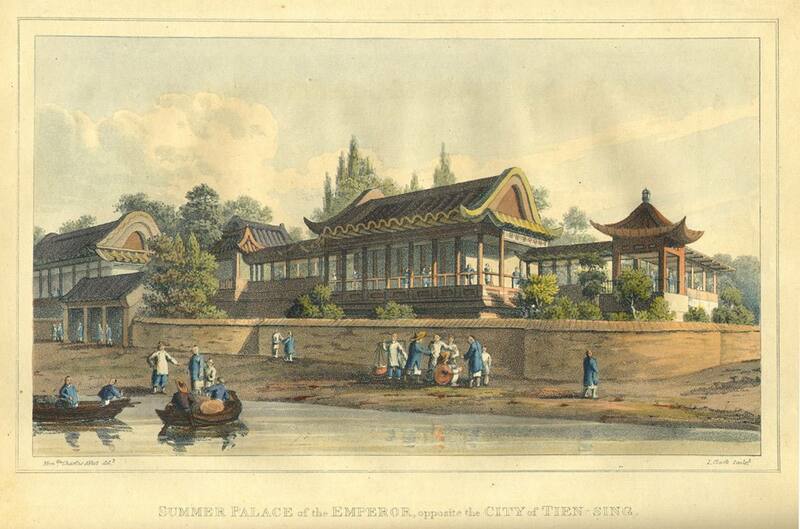 The Right Honorable Lord Amherst &c. &c.
Embasador Extraordinary to the Emperor of China. Left side below image - "Delt." [Drawn] by "Hon. Charles Abbot"
Right side below image - "Sculp" [Carved/Engraved] by "I.(J.) Clark"
"London, Published by J. Murray, Albemarle Street. 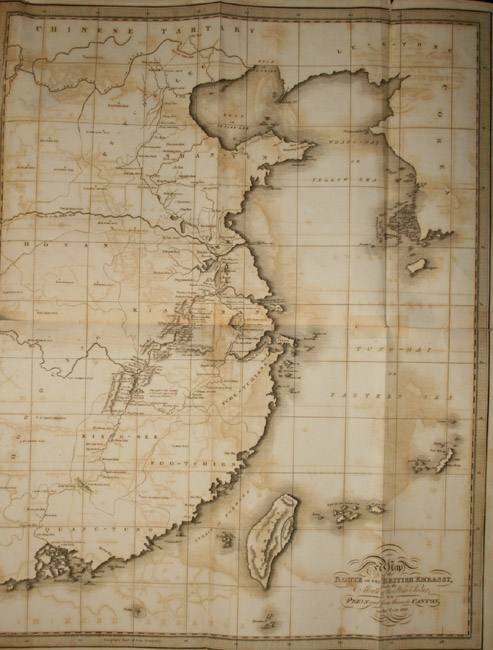 1817"
When opened out, the map is inverted in relation to  the printed text in the book). 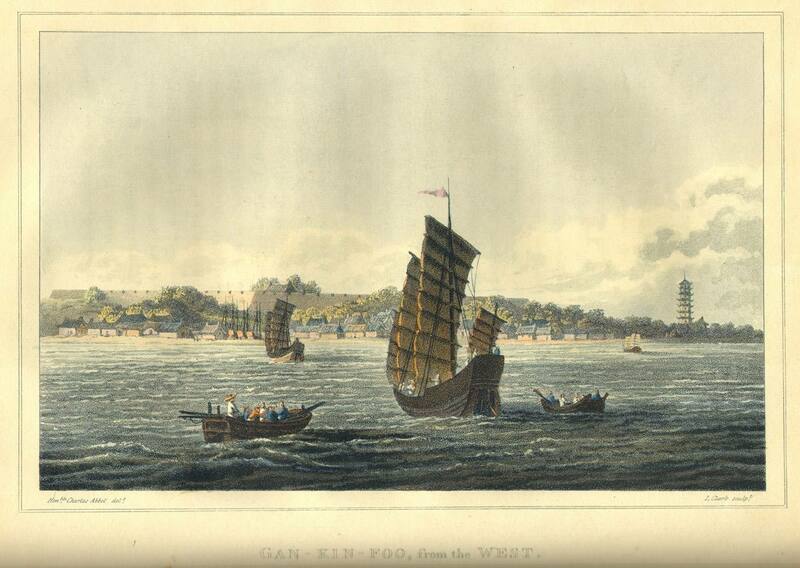 to Nan-Chang-Foo, Drawn by the Hon. Charles Abott. Batavia, Mr. John R. Mayne, Master of the Alceste, 1817.
as it was called by the British, see the note below. No. 5. Ceremonies to be observed at the Audience of Leave. (pages 499-500). Itinerary (pages 511-514). 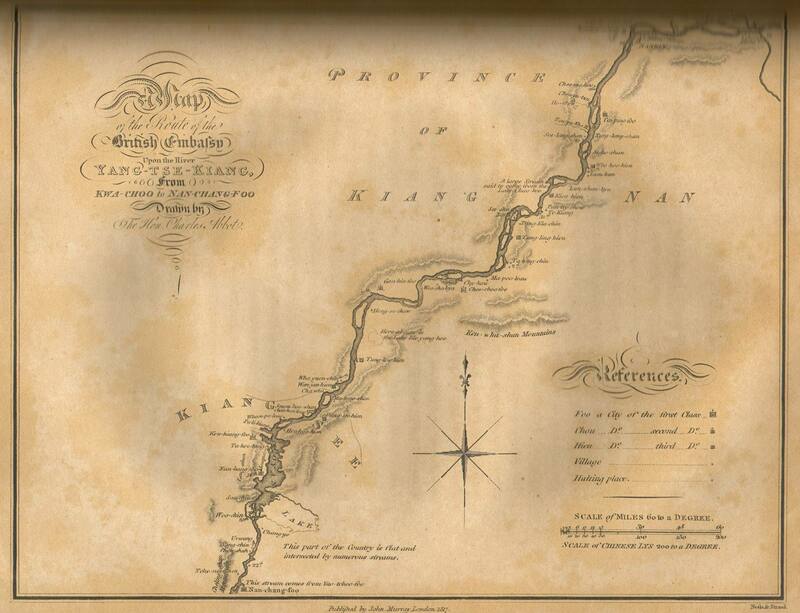 Begins on Aug 9, 1816 at "Tung-ko, (right bank), entered the Pei-ho and ends on Jan 1, 1817 at Canton. Index (pages 515-526). References to "Loo-choo Islands" at page 472 and a "Its connection with China--A short account of" at page 477. Errata. Last page, after page 526. Back of Errata sheet reads "T. Davison, Lombard-street, Whitefriars, London." Note on Port Melville, Loo-Choo. 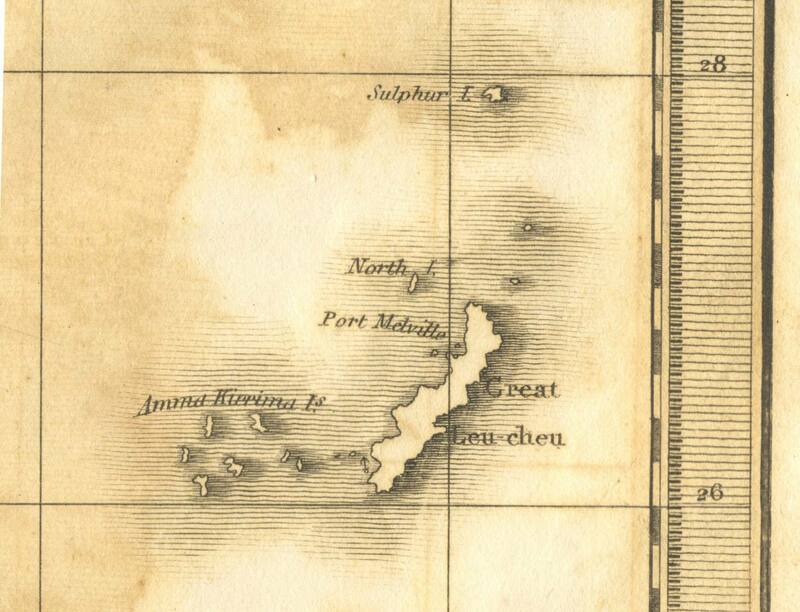 A map of Okinawa included in the official Government narrative of the Perry Expedition to Japan (1853-4) included Port Melville. To see that map, click here. The best harbour in Great Luchu is Unten (Port Melville of the British charts), on the north-west coast; but it is, so to say, wasted, because situated in a hilly district remote from the centres of population and trade. 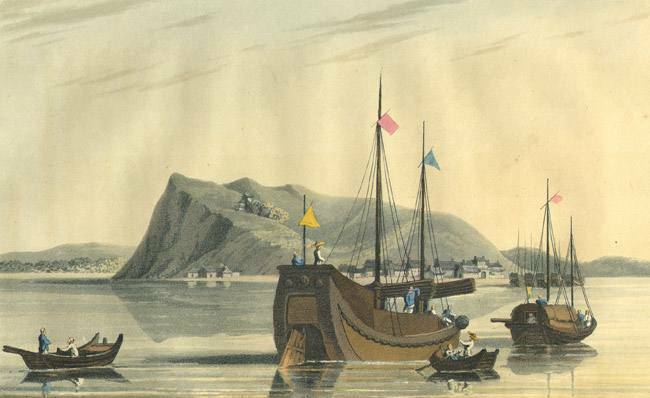 For this reason the Japanese steamers and most junks repair to Nafa (or Naha or Naba, as the Japanese sometimes pronounce it, in Shimajiri, near the southern extremity of the island, which is much less good, the inner harbour being only accessible at high tide. Close to Nafa, and indeed practically forming one with it, are the towns of Tomari and Kume-mura. Shuri, the capital (called Shui by modern Luchuans, who habitually drop the r in the middle of words, crowns a hill some 400 feet high standing a little over three miles inland from Nafa. (Geographical Journal, London, The Royal Geographical Society, Volume V, January - June, 1895, article by Basil Hall Chamberlain, at page 294). Unten is located on the north western side of the Motobu peninsula in the vicinity of Nakijin and Yagai Island.